And I am having a HUGE END OF THE YEAR SALE! 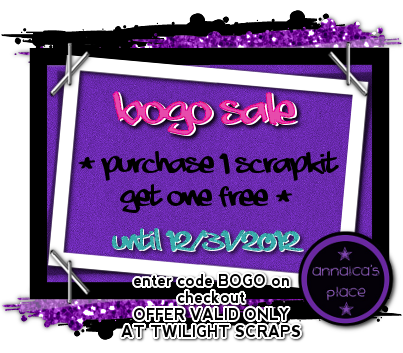 Buy one personal use kit at Twilight Scraps, get another personal use kit of mine FREE! Just enter the discount coupon code BOGO at checkout. 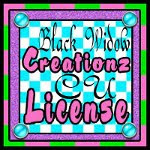 The free scrapkit must be $2 or below to qualify. I have never had such a big sale, I am excited... Hope you are too! That's a great New Year sale, perfect for this year. 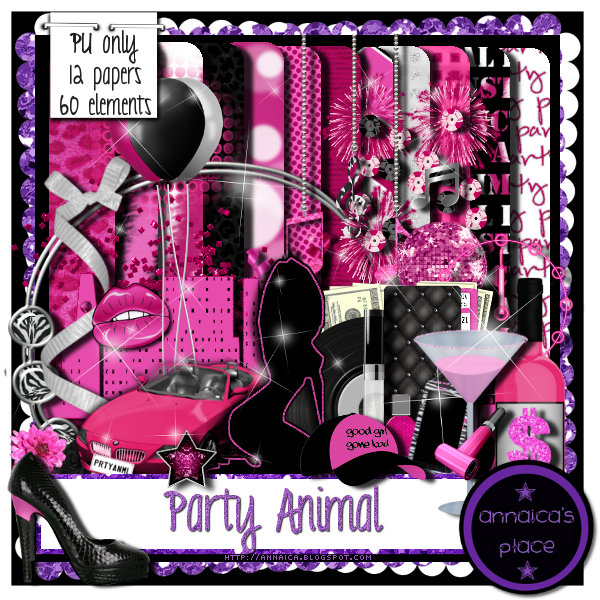 perfect for every party animal.